I would like to regularly shine a light on some amazing UKYA authors. I hope you enjoy this new feature! Sally Gardner is the author of many books for children and young people including picture books, early readers, middle grade book and young adult novels. I will be focusing more on Sally's teen books throughout this post. 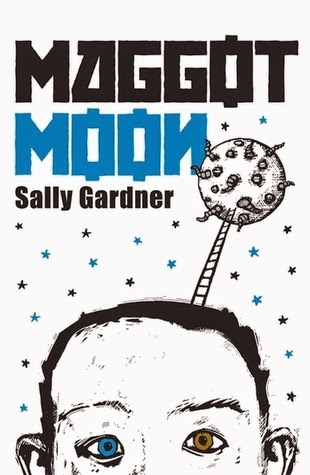 I think the first time that Sally Gardner really showed up on my radar was with the publication of Maggot Moon, which won both the Costa Children's Book Award as well as the Carnegie, which is an amazing achievement! But the fact that Sally Gardner has been quite outspoken about her dyslexia and the challenges she faced growing up really made me sit up and take notice as well. 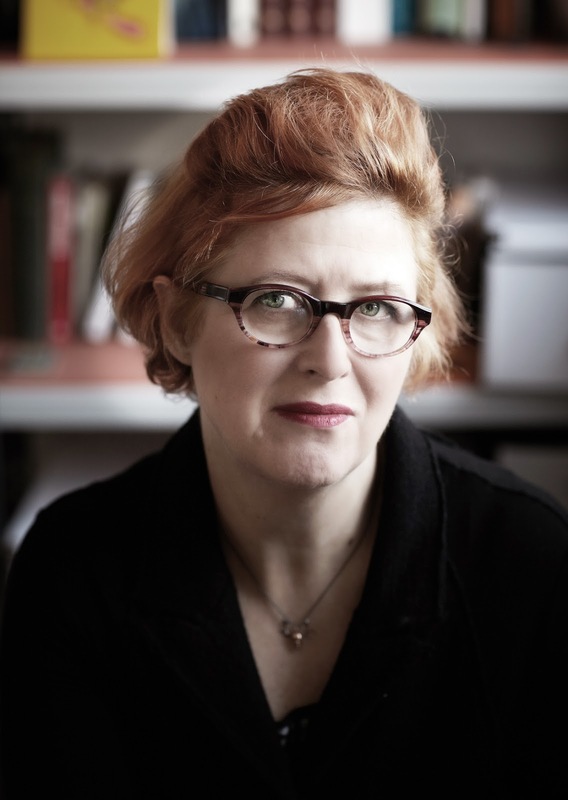 She didn't learn to read until she was 14 but went on to do very well at art college, and working in both theatre and costume design before writing and illustrating beautiful and engaging books. 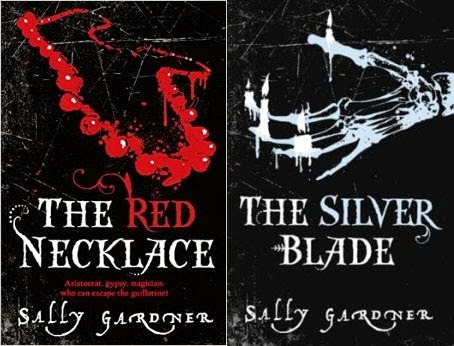 Sally then went on to write The Red Necklace and The Silver Blade both of which are stories set during the French Revolution. I'd never really come across either of these books before I sat down to write this blog post, but I have to say, I'm intrigued! I absolutely love reading about the French Revolution and stories set in France in general, but it sounds like The Red Necklace and The Silver Blade are amazing adventure stories, filling with great characters and plenty of drama and mishap. I will definitely, definitely be on the look out for both of these titles! 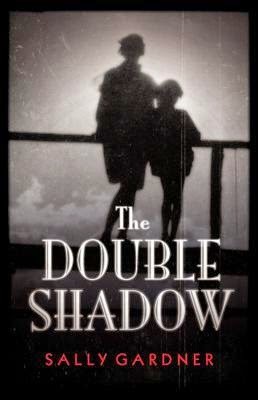 The Double Shadow is probably the book I know the least about, aside from the fact that loads of lovely people have said wonderful things about it. And actually, I was sent a copy of this book for review but I was put off a bit by the sheer size of it and sent it to one of my amazing guest reviewers (who loved it!) I've since acquired another copy of it and I am determined to uncover this book's secrets! And then there's Maggot Moon a book I've heard so very much about! I've heard this book described the most as being 'original' and having a really stand-out main character, Standish Treadwell. This is the book I'm most looking forward to reading of Sally Gardner's. I love that it crosses genres and has a main character with dyslexia and the fact that this book won two very prestigious awards. I'm just looking forward to it in general! Ooh, Tinder is the most beautiful, slim little book. It's illustrated by David Roberts and I've always loved flicking through a finished copy of this book to see the drawings included that go together so well with the text. 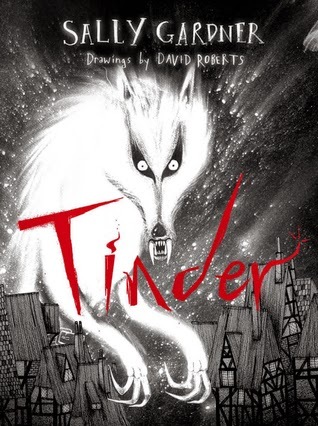 Tinder is a retelling of a fairy tale by Hans Christian Anderson, The Tinderbox, with a setting of the 30 Year War. I know absolutely nothing about the original fairy tale or the 30 Year War but I'm intrigued. I hope this book is dark and slightly twisted and, from looking at some of the illustrations, I think that both are the case! 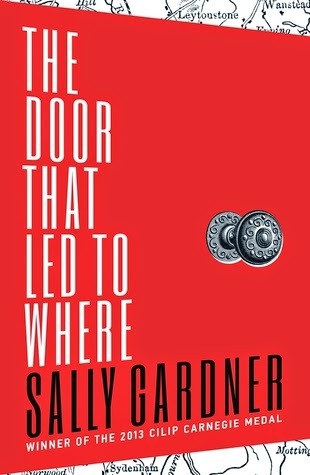 The Door That Led To Where is Sally Gardner's latest book, published this month by Hot Key Books. It's an absolutely stunning little hardback book and I'm so excited to read it. It's a sort of time-travel mystery adventure between present day London and 1830s London. Exciting. I'm so impressed with this collection of books that I've decided to do my own Sally Gardner read-along this month. I'm aiming to read the four books by her that I own but have not yet read: Tinder, Maggot Moon, The Double Shadow and The Door That Led To Where. I'd love if you wanted to join with me in this! 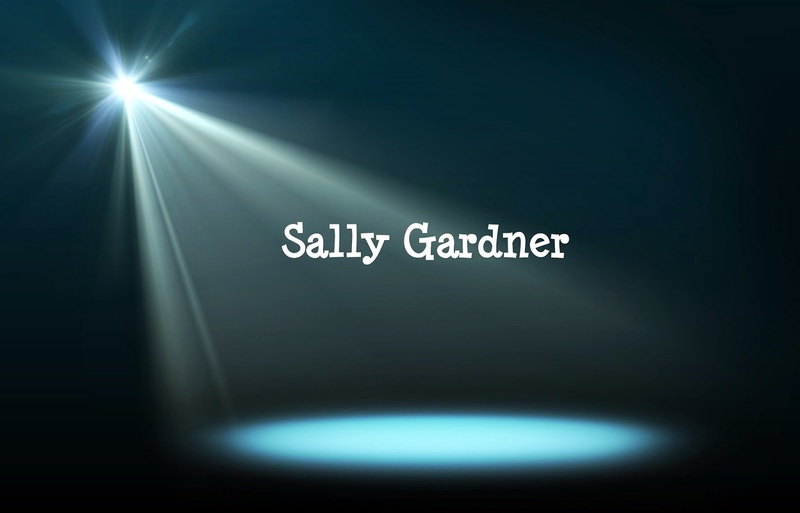 Find out more about Sally Gardner and her books at her website, or follow her on Twitter or Facebook. 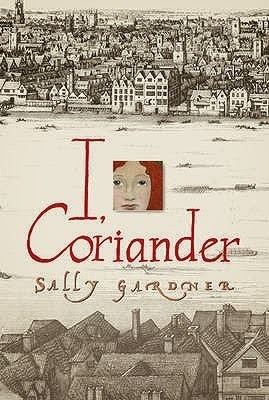 Have you read anything by Sally Gardner? Will you be joining in my readalong?